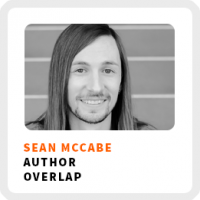 Sean McCabe wants to inspire you to learn to love learning! He believes life-long learning is the key to thriving in our rapidly changing economy. The entire thread of his career has been his ability to adapt because of his passion for learning. He’s a musician who once built websites for income. Then he “accidentally” started a successful business around lettering after scratching his itch to learn more about it. Today, he says he helps people get unstuck be inspiring them to leave their soul-sucking day job to find work they love doing (my kinda people)! If you’re getting ready to make the transition from full-time employment to self-employment, check out his book, Overlap. I also recommend checking out his podcast, SeanWes, on your favorite podcast app, too. Why learning to love learning will make your career more secure and resilient. Create stuff just because you love doing it. The difference between head knowledge and heart knowledge. Fall in love with the problem that you’re solving and the people you’re solving it for. Use a current job to fund your business idea. Regains focus by: Using the Forest App. 90-day goal: Get membership revenue to where it covers all payroll and expenses. 1) Look at what you’re already writing. 2) No one gets “talker’s block” so try dictating what you want to write to avoid editing yourself before you write. 3) You don’t have to think of yourself as a writer to start writing. 4) Try writing in a stream of consciousness. Write everything you think!